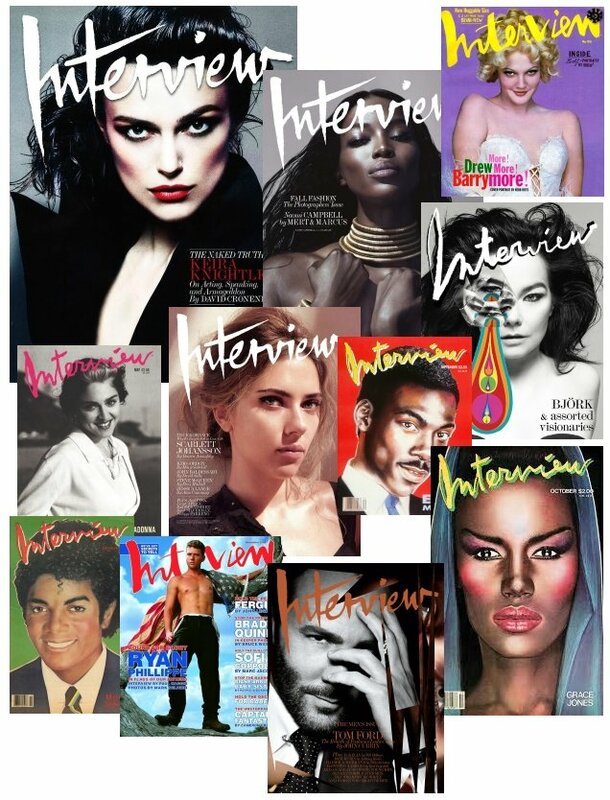 If you haven’t heard already, Interview magazine is no longer. Amid ongoing news that the magazine industry is in trouble, Interview has suddenly shut down due to financial issues. The New York-based arts, fashion and culture magazine, which was founded by Andy Warhol and John Wilcock in 1969, has enjoyed an extremely rich and vibrant history of iconic covers and features. Over recent years, our forum members have loved (and loathed) covers starring the likes of Kim Kardashian, Penelope Cruz, Michelle Pfeiffer, Emma Watson, Solange Knowles, Jodie Foster, Emma Stone and Willow and Jaden Smith. The news comes as a surprise, especially since the magazine just went through a redesign two months ago, featuring a handful of fresh faces photographed by David Sims. It evidently wasn’t enough to keep the magazine afloat. Members of our forums immediately expressed their disbelief and sorrow over the news. “This is actually devastating. Interview was far past its glory days, but for a long time, it was the best arts and culture magazine out of New York. It was my bible in the 80s and 90s. It lost its way when it became too focused on fashion and Hollywood. The decline has been long and slow, but this sudden end is still shocking and sad,” commented mepps. “It’s so sad. Someone should buy this magazine. It’s such a loss,” added caioherrero. “I’m really sad about this. They produced some amazing content over the years,” 333101 acknowledged. Benn98 wasn’t so surprised. “The writing was on the wall! I know they’ve produced great content in the past but [Fabien] Baron, [Karl] Templer and everyone at the magazine continued to push out content which didn’t really reflect the contemporary fashion sphere. Kim Kardashian? Too late. Same with the social media covers. I think their last true hit may have been ‘The Photographer’s Issue‘ years ago. They should’ve kept that thematic flow going! I hope this will be a rude awakening for Condé Nast,” he stated. “For years you heard and read how bad things are for them, but to fold officially, it is a loss. I always enjoyed the content, even if the covers were random!” Miss Dalloway shared. “Sad. Perhaps Condé Nast or Hearst will buy it?” asked forum member russianelf. Fingers crossed someone does indeed buy the magazine and turn it around. Stay tuned and join the conversation here.